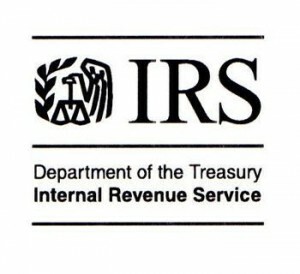 We have just obtained a copy of an internal IRS memorandum issued a little over a year ago, describing the vesting standards the IRS will apply in reviewing determination letter applications by governmental retirement plans. A copy of it can be found at this link. The memorandum states that determination letters will not be issued unless governmental plans include vesting schedules at least as favorable as safe harbors set forth in the memorandum, which appear to be intended to preclude discrimination in favor of employees who are officers, shareholders, persons whose principal duties consist in supervising the work of other employees, or highly compensated employees. And while the memorandum was primarily directed toward governmental plans, it suggested that the same standards would apply to church plans. A plan described in paragraph (1) shall be treated as meeting the requirements of this section, for purposes of section 401 (a), if such plan meets the vesting requirements resulting from the application of sections 401(a)(4) and 401 (a)(7) as in effect on September 1, 1974. A trust shall not constitute a qualified trust under this section unless the plan of which such trust is a part provides that, upon its termination or upon complete discontinuance of contributions, under the plan, the rights of all employees to benefits accrued to the date of such termination or discontinuance, to the extent then funded, or the amounts credited to the employees’ accounts are nonforfeitable. This paragraph shall not apply to benefits or contributions which, under provisions of the plan adopted pursuant to regulations prescribed by the Secretary or his delegate to preclude the discrimination prohibited by paragraph (4), may not be used for designated employees in the event of early termination of the plan. Paragraphs [401(a)](3) and (4) shall not apply to a governmental plan (within the meaning of section 414 (d)). It is not clear whether Code section 401(a)(5)(G) was meant to amend section 411(e)(2) to eliminate the requirement of compliance with pre-ERISA Code section 401(a)(4) vesting rules, or whether it was merely intended to exempt governmental plans from the requirements of present-day Code section 401(a)(4). Unfortunately, the IRS directive does not specifically state whether it is intended to apply only pre-ERISA section 401(a)(7), or also pre-ERISA section 401(a)(4). However, it relies on pre-ERISA Publication 778 to create certain safe harbor vesting schedules. Because these vesting schedules are more restrictive than Code section 401(a)(7) would require, it appears that they must be based on an assumption that pre-ERISA Code section 401(a)(4) continues to apply.